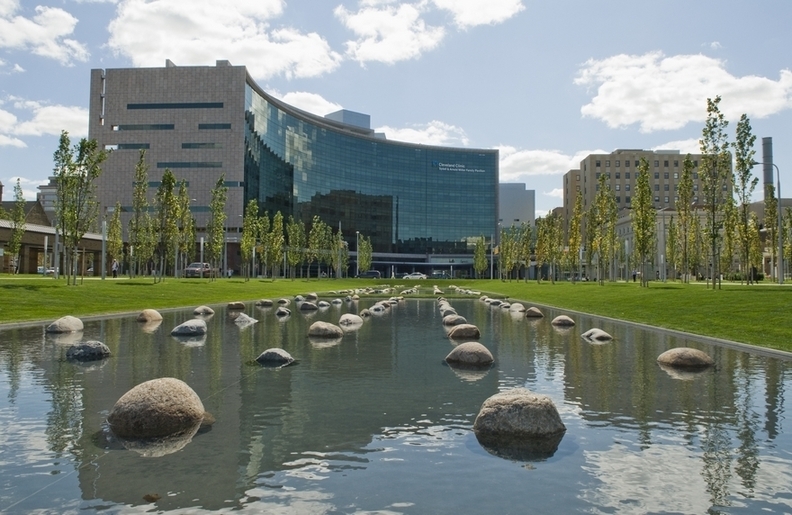 For an institution accustomed to securing multimillion-dollar donations, Cleveland Clinic's latest fundraising effort has some relatively small targets: projects up to $10,000. But each of the projects supported by a new crowdfunding initiative will have real impact on patients and the community, said Bridget Andrews, the Clinic's senior director of development operations. In June, the Clinic quietly launched its own crowdfunding platform, The Power of Every One, which highlights caregivers' ideas in need of funding that will support projects from basic science research to public health initiatives to clinical care programs. So far, with nearly 100 donors giving a total of more than $17,000, two of the three projects included in this first round have already reached their goals. One hundred percent of the proceeds go to the projects. "We really thought that this was an opportunity for us to engage members of the community who were interested in making smaller gifts to the organization, but collectively, they can have a larger impact on a project," Andrews said. Crowdfunding, which solicits donations for as much or as little as one can, has been around for several years — particularly among entrepreneurs and academics — but is "still a fairly new concept" for hospital systems, Andrews said. "I think that many hospitals focus on major gift fundraising and are now looking into more creative ways to engage the younger demographic, the Generation Y and Generation Xers who are more comfortable giving online and who want to see a direct impact of their gift immediately," she said. University Hospitals took a stab at crowdfunding last year, but raised minimal funding for a UH researcher-developed rehydration device that served as the centerpiece of that campaign. When Crain's reported on the effort, the device's developer said that about $50,000 raised would enable the start of clinical trials. A UH spokesperson said last week the health system's clinical research center isn't currently pursuing crowdfunding for other research projects. Huneo, a Cleveland-based biomedical data analytics company, launched a Kickstarter campaign last year for its SnoreTrack App and SnoreCoach Device, which track snoring and sleeping position. They work together to coach the user into correcting his or her sleeping position by offering a gentle buzz to the wearer to change positions when snoring. Matt Ryder, who works in business development for Huneo, said he sees "comparatively less" health and wellness products using crowdfunding platforms relative to other products. Most of Huneo's competition in raising its roughly $200,000 was for attention overall on the Kickstarter platform. "Now that technology exists to create low-cost, high-quality devices in a mobile fashion, it's going to open (crowdfunding) up a lot more for health and wellness companies," Ryder said. "You can compare it to the use of wearable technologies and devices that track personal data. I think that a lot more of those will use certain types of crowdfunding platforms." For Huneo, the Kickstarter campaign served as more of a marketing tool than true crowdfunding, Ryder said. Most of the funding needed for development and production of the products was invested by principles before the campaign began. The campaign itself helped get the product in front of a broad audience that Huneo might not have otherwise reached, with backers in 29 countries. All of the backers who donated to Huneo received both preproduction units and the final product, which they've been ramping up manufacturing on in the past month, Ryder said. Andrews also noted the important awareness that crowdfunding can bring to the projects raising money. "While many of these projects are important and could be funded through various sources, one of the benefits to the crowdfunding platform is that it does raise the visibility for various projects that the community may not know exist," she said. The Clinic's Philanthropy Institute is lining up new projects for the fall, with a goal of maintaining three to five 30- to 60-day campaigns every quarter. Andrews said she wants to keep the campaigns attainable, and so to start, they're looking for projects that are $10,000 and below. This quarter, at $2,070, one project to sponsor healthy food initiatives for the Spanish-speaking community in Cleveland is fully funded. Also at goal is a $10,000 project to support the ongoing work of the Vision First Program, which provides eye examinations and, if necessary, eyeglasses and follow-up care to every 4- to 6-year-old in the Cleveland Metropolitan School District. The project also received a matching gift of $10,000. The combined funds will go toward purchasing a new customized van for the work, according to the campaign. The third project, which is raising money for the Taussig Cancer Center Wig Boutique, is a little over halfway to its $10,000 goal to help provide free wigs, bandanas and other accessories for cancer patients. Sharrie Coburn, cosmetologist wig specialist at the Clinic who's leading the effort for the project, said she is pretty confident they'll also reach the goal for the campaign, which is live until Aug. 20 at cometogether.clevelandclinic.org. Caregivers lead each of the campaigns, reaching out to their networks and sharing the projects on social media. The Clinic also shares the projects on its intranet and doctors have helped spread the campaign through word of mouth and social media. "Everybody has a family or loved one that is touched by cancer," Coburn said. "People would always like to help to give back to patients." "'Smaller' gifts can go long way for Clinic's crowdfunding platform" originally appeared in Crain's Cleveland Business.